Deep sea fish. Blackbelly rosefish (Helicolenus dactylopterus). Also known as bluemouth rockfish and bluemouth seaperch. 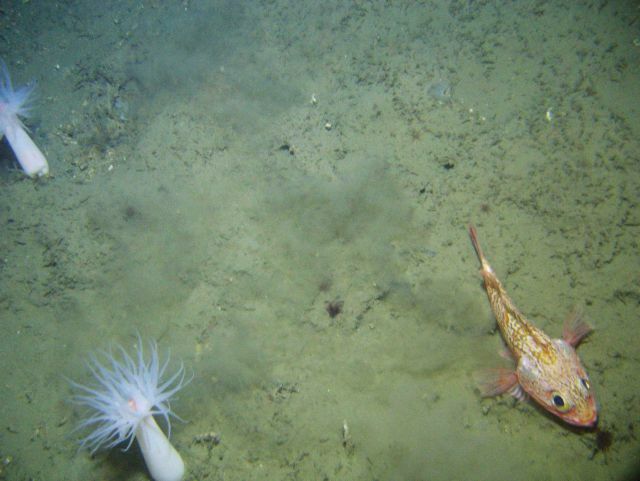 Two white anemones with orange mouths also in image.